Hmm. Shouldn’t that be “horizontal stripe camouflage”, not vertical? Indeed, sir! Fixed. Thanks for the heads-up! I am a big fan of painting smarter, not harder and your wash/drybrush plus camo scheme approach draws the eye to all the right places. They look plausible, but not too dull. Pig Iron make some nice figures. 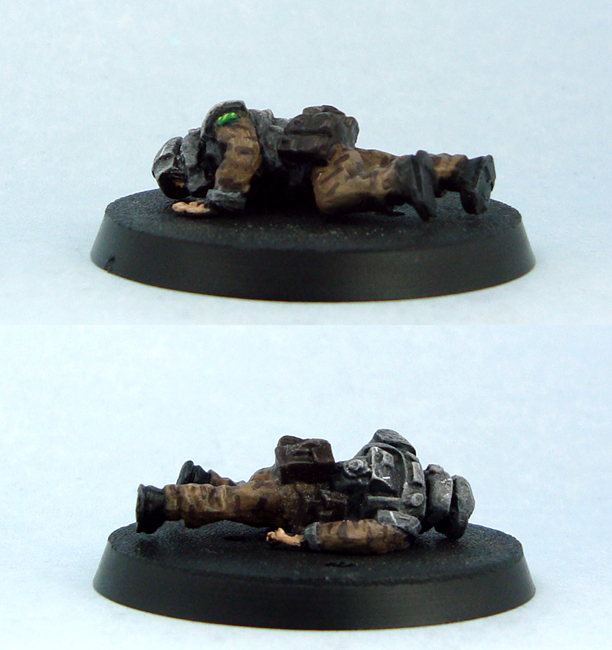 I cant justify buying more armoured space humans until I paint up a few that I have lying around, but the Pig Iron stuff has a lot of appeal. Are they multi-part models? Or do they only come with separate heads? Thanks Paul! The smarter, not harder approach is a good way to do it and that’s a phrase I’ll coin. 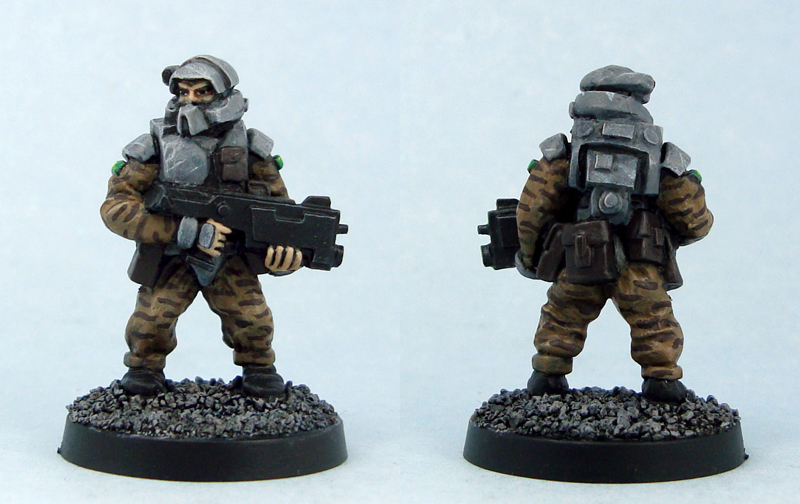 The Heavy infantry are mostly single part castings, unlike most of PI’s later offerings.